Ditching the landlord and taking the leap into the realm of home ownership? While it can be frightening, consumers who have the resources to buy a home shouldn’t shy away from this type of financial decision. But you must be prepared and you much have the money to do so, or you may incur years of unavoidable debt. Know how much you’re going to spend before you look: After you have found out that you’re ready to buy a home, it’s time to budget yourself. 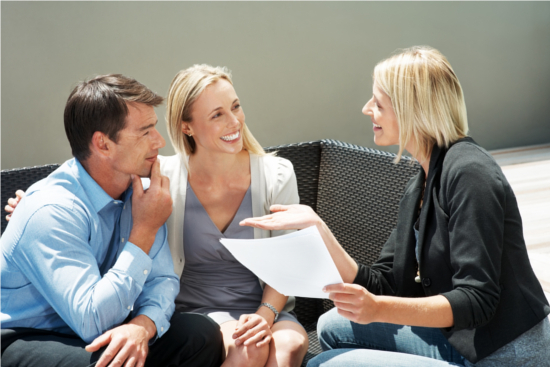 Set up a meeting with a local Mortgage Specialist or Mortgage Broker. Contact UsIf you would like recommendations on trusted professionals from our network of professionals. Determine how much you’re willing to spend to purchase a new home, and calculate what is needed for down-payments – ensure you ask as many questions as you need to, ensuring you’re comfortable with your budgetary commitments. Finding the right Real Estate Representative: We have helped many first time home buyers find a perfect first home for their needs. It is our joy and strength to educate first time buyers on the ins and outs of home ownership including the process of looking at a home for the first time, offering on the home and working through and more importantly, understanding the Agreement of Purchase and Sale paperwork, all the way through negotiations, conditions, and finalization of the purchase. We work with your best interests in mind, protecting your needs, and ensuring you are fully educated throughout the process. Knowing what you need: Make a list. What are your ‘must haves’, and what features in a home are those you would prefer to have, but do not necessairly need. Once you acquire our assistance, we will be sure to work through this list with you, ensuring we understand what it is you are looking for to the fullest, while also making sure you are on track and realistic based on your budget and timeframe, and current market conditions depending on where you are looking to buy. Our experience, expertise, and market knowledge will be fundamental assets throughout this important process! First Time Home Buyers Land Transfer Tax Refund: When you buy land or an interest in land in Ontario, you pay land transfer tax. First time homebuyers of an eligible home may be eligible for a refund of all or part of the tax. Getting a Lawyer/Notary: You will need to hire a lawyer to work toward closing the transaction when the time comes. In many instances, a Buyer may choose to have their lawyer review the Agreement of Purchase and Sale as a condition to their offer, before it becomes firm and binding. We can discuss this in full with you when the time comes, and have local, highly recommended professionals in our trusted network we can refer to you. Don’t forget about those closing costs: After purchasing a home, you may be faced with “extra charges” on closing. Understand the various fees that you’ll have to pay before the close of the sale so you could save accordingly. These fees can include legal costs, land transfer taxes, disbursements and many others. Our team, along with your Mortgage Specialist and Lawyer can ensure you are fully aware of these associated costs so there are no surprises on, or close to day of closing. Buying a home should be an exciting period for you, and while it seems complicated and difficult at first, prevailing through the challenges isn’t as hard as you think. With our help, you’ll make a great purchasing decision and be settled into a new property to call home.